We just completed OTB 2015 in Austin, Texas. 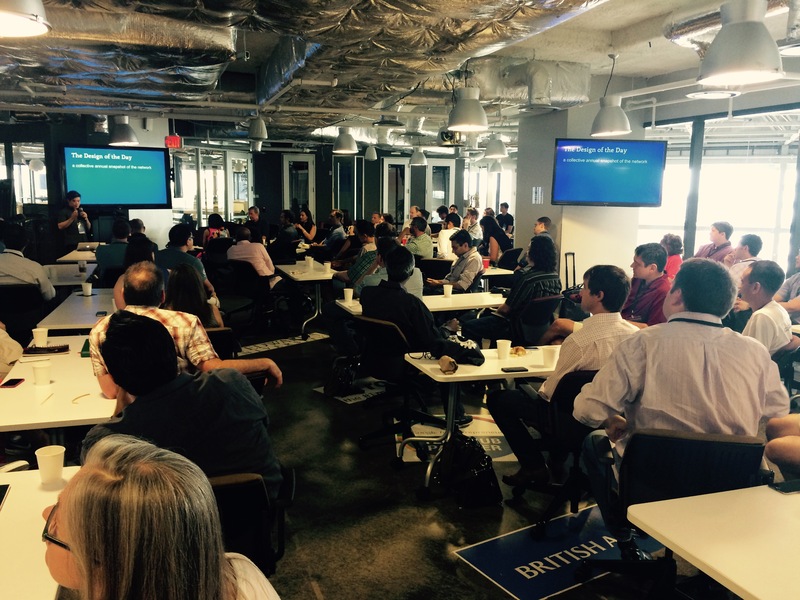 This was the fourth OTB event, sponsored, organized, and run by alumni of the Austin software company, Trilogy. OTB is an un-conference and networking event, but as such it has caused some confusion about what OTB is. Is it a reunion? Is it just networking? Is it a conference? It is a reunion. It is networking. But it is also fantastic content in a slew of dynamic sessions led by incredible experts. One common strain among OTB attendees is fanatic dedication to expertise, and it comes through in the sessions. If you’re looking to learn meditation, or how to negotiate a killer car lease, or to make a difference in Detroit, we had the content. Included below is a listing of the sessions we ran – over 41 presentations and discussions were organized in 2 days, in addition to opening remarks, closing remarks, and the infamous Significant Learning Experience which has been a hit in the last 3 OTB’s. What is the role of product management today? How much “Trilogy Culture” should you take with you to your post-Trilogy business? How do you recruit, grow and manage a killer sales team? How many companies are still using their own colocation? How can Trilogy Alumni invest together in startups to start creating that virtuous cycle of the network? How do you know you are making the best use of your time on the planet? How are people backing up digital photos to preserve for the next generation? If you could live anywhere in the world, where would you live? Has anyone fully moved away from city life? What innovation in the customer experience would you like to see at McDonalds? No more apps. How can a different model harness synergy and entrepreneurs to create real innovation and the next big thing? What’s your best hiring secret? Are you getting the most out of UX in an Agile world? Can I get five minutes of free legal advice? Trilogy Alumni Foundation – creating a sustainable solution to impact the world for the better – the Trilogy way. How does one have a happy marriage? Stories of leadership through change – M&A, pivots, layoff, company sale, fundraising, new product launches, divestiture, etc. You’ve got a great new job – congrats! how fact can you identify and fill critical gaps in your current skill set? What is it like to transition out of the technology industry? Women in tech – are men responsible for the low numbers? Should we have our own private subreddit? One of the followups was to get this site revamped and on WordPress. This is the first post, and why not start with a recap of OTB 2015!